An innovative history of the politics and practice of the Caribbean spiritual healing techniques known as obeah and their place in everyday life in the region. Spanning two centuries, the book results from extensive research on the development and implementation of anti-obeah legislation. 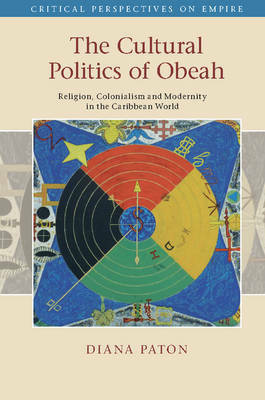 It includes analysis of hundreds of prosecutions for obeah, and an account of the complex and multiple political meanings of obeah in Caribbean societies. Diana Paton moves beyond attempts to define and describe what obeah was, instead showing the political imperatives that often drove interpretations and discussions of it. She shows that representations of obeah were entangled with key moments in Caribbean history, from eighteenth-century slave rebellions to the formation of new nations after independence. Obeah was at the same time a crucial symbol of the Caribbean's alleged lack of modernity, a site of fear and anxiety, and a thoroughly modern and transnational practice of healing itself.